Providers of Quality Staffing and Recruitment Solutions to Commerce and Industry for almost 30 years! Established in 1989, we provide temporary, contract & permanent staffing solutions to the Construction, Industrial, Engineering, Food and Commercial Sectors. External compliance and ethical audits also form part of our success story and our clients have peace of mind that the level of candidate care is inspected and reviewed on a regular basis. On our Website, Facebook, Twitter or our live RSS jobs feed. 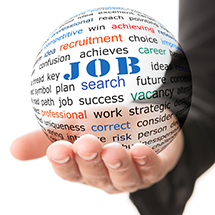 If you don't see the job for you right away, please register your CV on-line. As soon as we have something suitable - we'll be in touch right away and your CV will already be on file and ahead of the competition. Need help putting together your CV? We have some CV writing Tips that we hope you will find useful. Good luck with your search for a new job... We're here to help! Bamford are proud to partner local Construction Training Specialists, GMCT. Bamford Contract Sevrices are proud to announce they are now Premium Members of Builders Profile. Manging Director Steve Berry presents a cheque for £2,000 to Robert Clegg, Chairman of Springhill Hospice. The money was raised from the proceeds of a raffle held at the 2015 Rochdale Business Awards and Steve was delighted to be asked by the Business Awards committee to present the cheque on their behalf. "Business of the year - Turnover more than £5million"